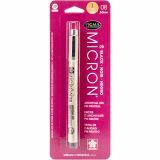 Pigma Fine Point Micron #08 Pen - SAKURA-Pigma Micron Pen. A fine point pen with a waterproof, quick- drying pigment ink that will not feather or bleed through even the thinnest papers. Inks are smear-proof once dry, fade proof against sunlight and UV light. Colors remain colorful, are permanent and washable on cotton fabrics. 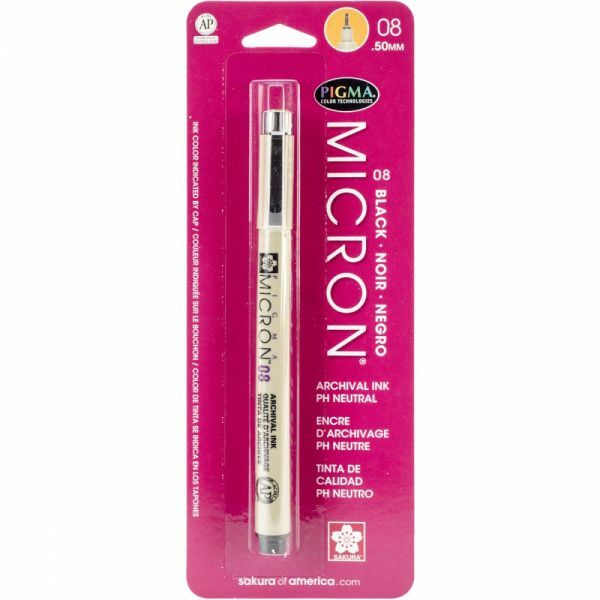 This package contains one pen: #08 (0.5mm) black. Imported.